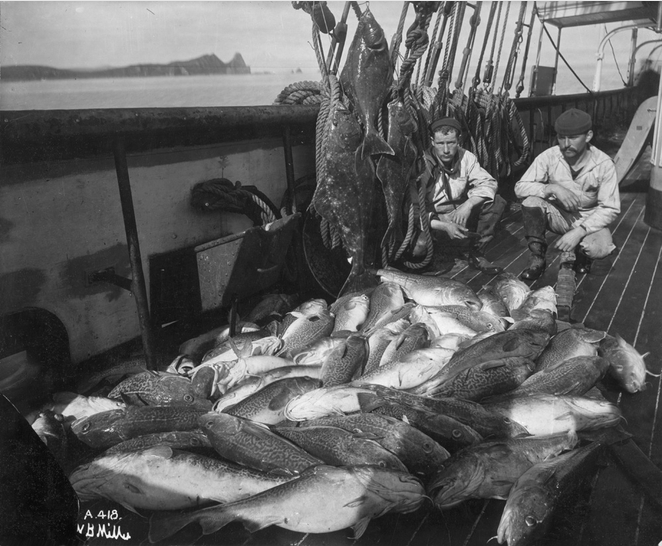 Cod fisherman with their haul, courtesy of Wikipedia. The article linked below outlines the impact of human population growth on global marine fisheries. It has been well-established through scientific research that as people become wealthier, they consume more protein. And as Earth’s human population continues to grow, the pressure on fisheries becomes two-fold: not only are there more people fishing (population growth), but those people are becoming wealthier (economic growth) and eating more seafood per person. This article ties in brilliantly to ESS Topic 3 – Human Populations, Resource Use, and Carrying Capacity. This entry was posted in Environmental Systems and tagged ESS, fisheries, food resources, human population, oceans, overfishing, population growth, resource use, Topic 3. Bookmark the permalink.